German „godparents“ visiting Anura College – big surprise for Malki! 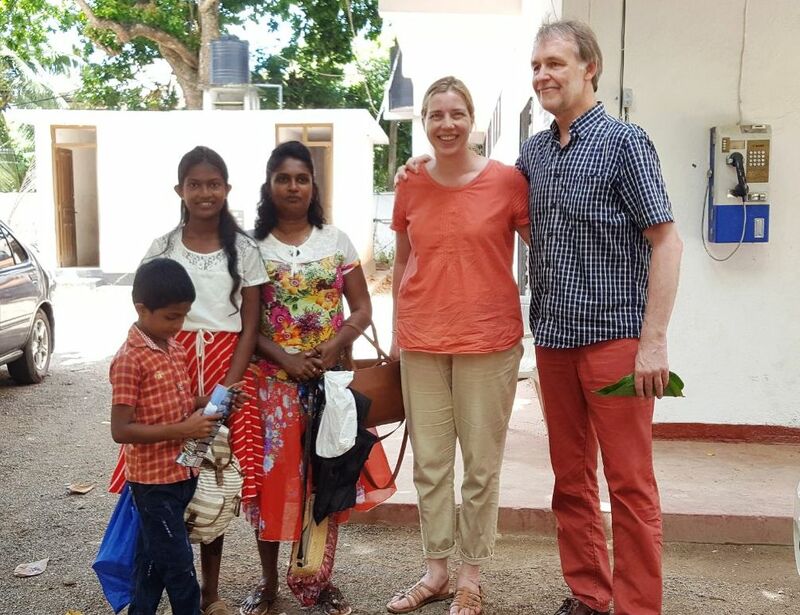 Although there are school holidays because of the Singhalese and Tamil New Year’s celebrations, visitors from Germany arrived at school to meet their scholarship child, her mother and little brother. Both sides seemed to be quite excited, but when meeting, there was relief and much happiness. Even two of the English teachers and the Venerable High Priest welcomed the guests. They were accompanied by our board member Vindya and her husband Thomas who happened to come to Anura College as well. And a former student, Ridmi Hansana, sponsored by the German association’s vice president, came to help and take some pictures. 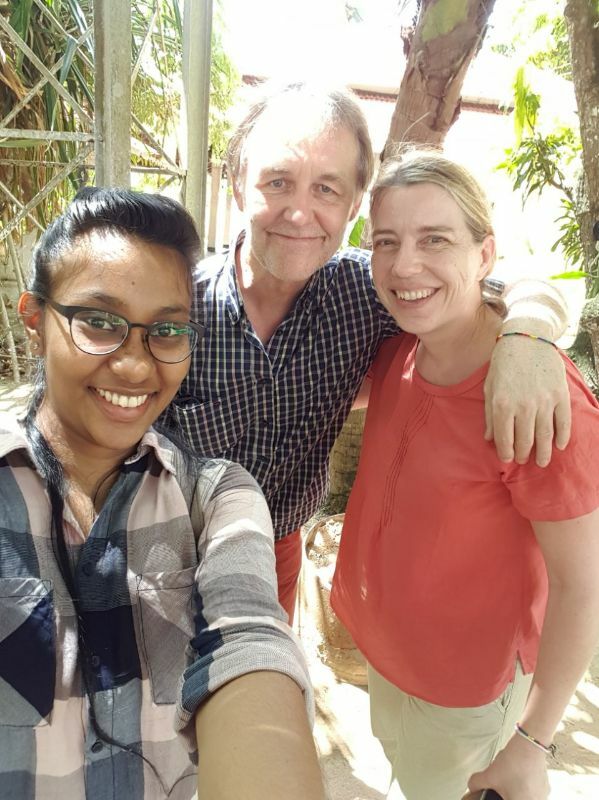 She was lucky enough to spend three months in Germany from last October till January, and is learning German at the Goethe-Institute in Colombo. 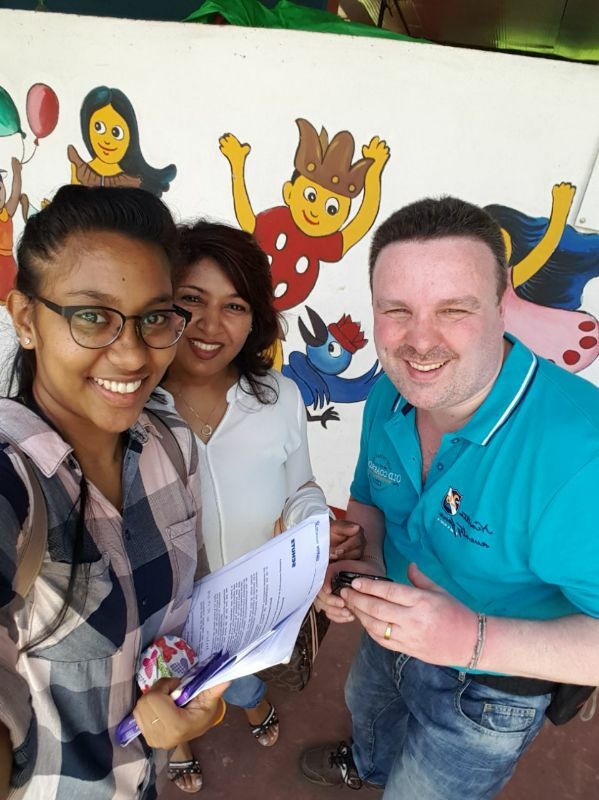 She is looking forward to welcoming her “godmother” in Matara again in July and travelling back with her to Germany, where a traineeship is waiting for her that might be extended if everything works out well. Malki had received some photographs of her sponsor family before, but now they are here for real. 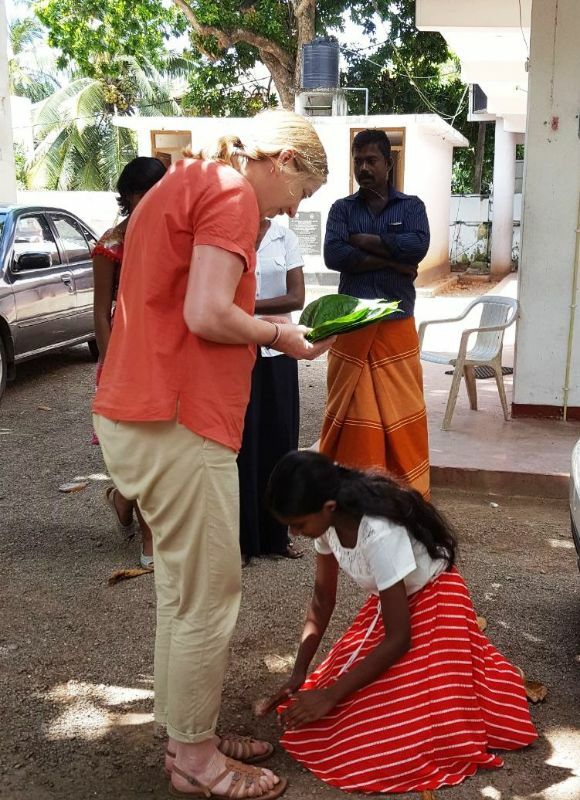 She welcomed the guests, according to tradition, by handing over some betel leaves and bowing to their feet, thus showing thankfulness and appreciation. Of course, there were some presents from Germany, and communication was supported by the two English teachers and Vindya and Ridmi who are quite good at speaking German. Even the Venerable High Priest welcomed the guests, no matter whether their roots are German or Singhalese. The visitors were shown around the school premises, seeing the school buildings donated by the German Friendship Association. Of course, the atmosphere would have been even livelier if hundreds of school children had been around. Anyway, it was a wonderful experience for the guests– and Malki felt more than happy to be one of the few scholarship students who can meet their German “godparents” in reality. This will certainly be a great motivation to make use of their support, to be ambitious and hard working and build up a good future. Good luck! Freundeskreis Neuwied – Matara e.V.